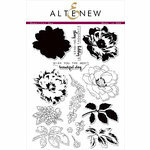 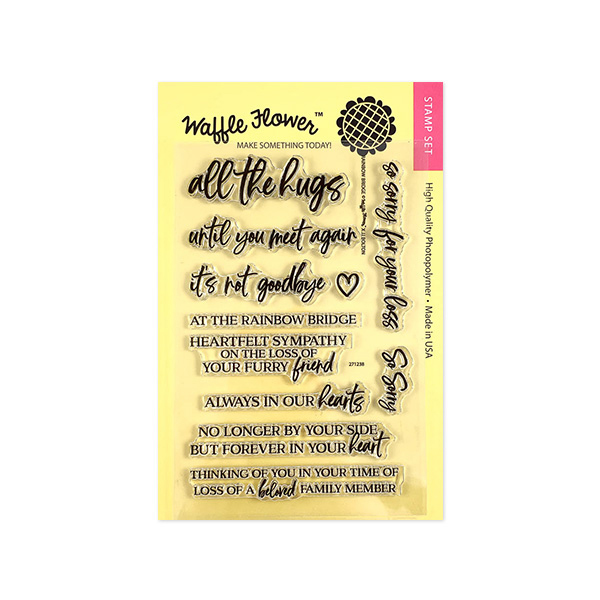 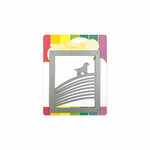 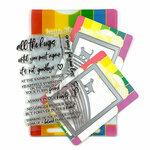 Send sympathy with the Rainbow Bridge Clear Photopolymer Stamps from Waffle Flower Crafts! 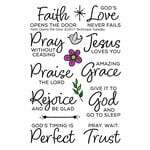 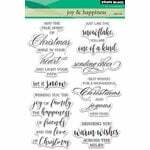 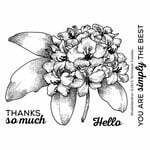 There are 11 stamps included in the 4" x 6" package that are made in the USA and can be used with an acrylic block and inks of your choice (sold separately). The pieces are in the shapes of the words "all the hugs," "no longer by your side but forever in your heart," "so sorry for your loss" and more.